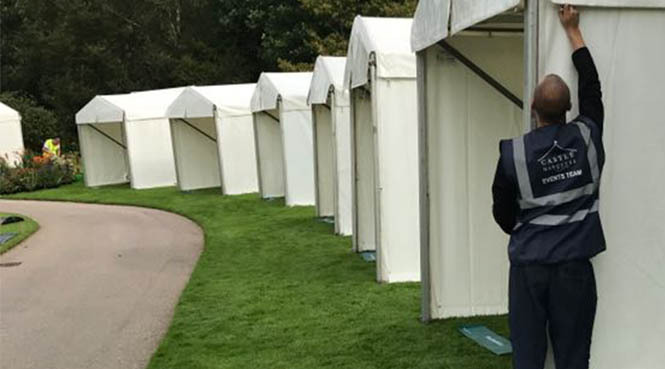 Our team have worked for over 20 years delivering marquees for weddings, so we understand that your wedding day is one of the most important in your life. 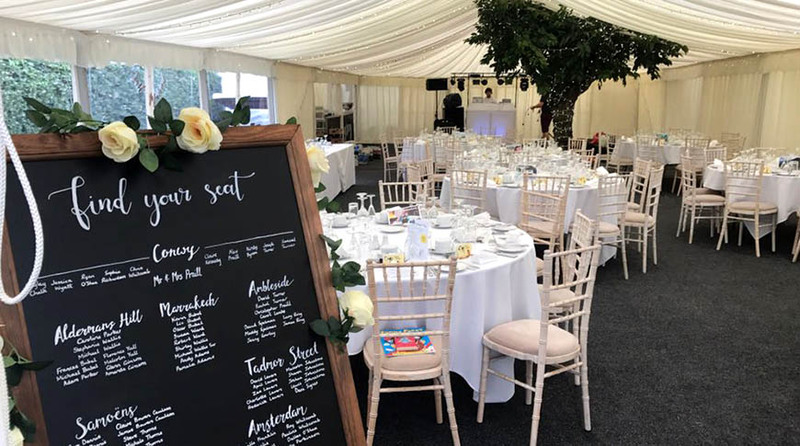 To ensure you feel relaxed enough to remember the occasion forever, we offer a safe & stress-free wedding marquee hire service that leaves everybody free to enjoy it. By using clear span marquees it allows you the freedom to customise the space to make your day exactly how you want it. Castle Marquees is a family run business established in 1995. 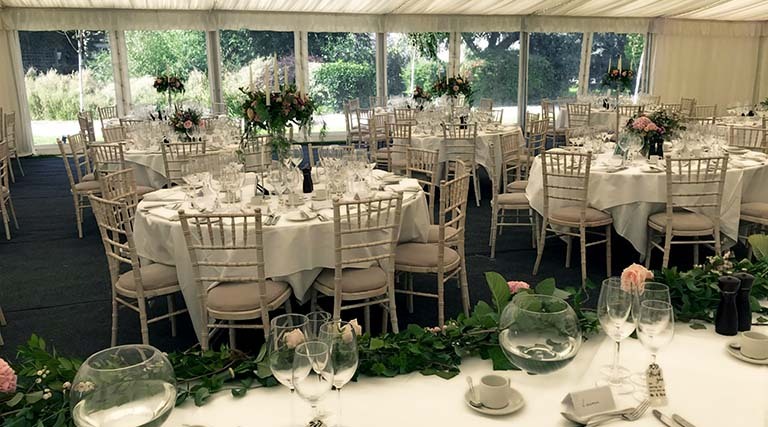 We have provided marquees for weddings & events in Essex, London, the home counties & most recently Devon. Our field team enjoy creating bespoke solutions to your events whether they are in your garden, a field, town centre or office grounds. If you have the space we can create a marquee that your guests will be talking about for years to come. I just wanted to send a note to thank your marquee team. 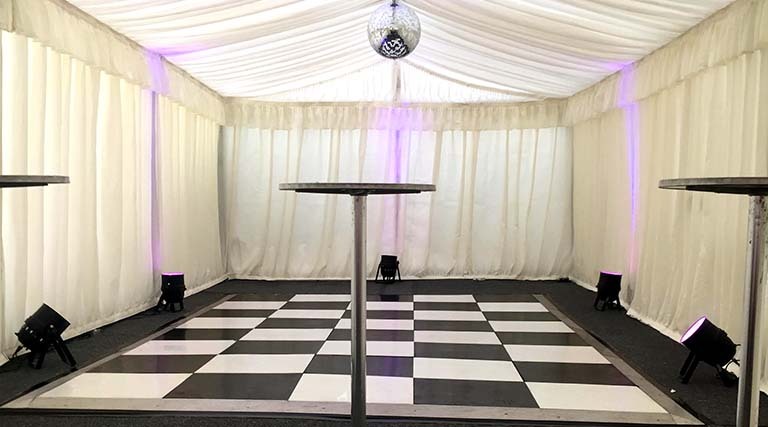 They came & put the marquee up with no fuss or hassle & they themselves had a few difficult circumstances to handle on site which they did professionally and with ease. Its such a joy to take a risk and book something to be rewarded with a professional service. Had the most beautiful marquee, the whole team at Castle Marquees truly made my wedding a perfect day. Highly recommended. Fantastic from start to finish. Castle Marquees supplied & fitted our marquee for our wedding at The red brick barn last year. A professional and very friendly team. Castle Marquess have worked at Hyde Hall for over 8 years providing all of our marquees for events. Steve and the team deliver a reliable, professional service and accommodate all of our requirements including working unsociable hours and unusual requests. I wouldn&apos;t hesitate in recommending Castle Marquees to anyone.